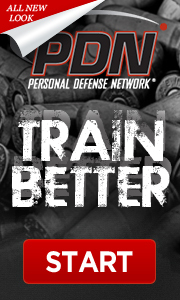 Do you want to become an NRA Certified Pistol Instructor? Applications are now being accepted for our upcoming NRA Instructor courses. If you want the ability to conduct classes that will allow others to obtain their Virginia CCW permit or if you just want to obtain instructor credentials, now is your opportunity to reserve a seat in the class of your choice. Only 12 applicants will be accepted. All candidates are required to successfully complete a live-fire, a pre-course qualification at a local range, observed by an instructor or training counselor, to assess the candidate’s firearm handling skills (Loading / Unloading / Malfunctions), attitude towards safety and marksmanship skills. The candidates may use their own Bolt Action Rifle, Lever Action Rifle and Semi-Auto Rifle for the live fire shooting, however, the handling skills must be demonstrated with both a bolt action and semi-automatic. (The maximum distance used for marksmanship drills is 50 feet). This workshop provides the training and credentials necessary to conduct Refuse To Be A Victim seminars in your community. No previous instructor experience is necessary. This 9-hour course is designed to give an individual the ability, confidence and competency to instruct the NRA Personal Protection in the Home course of instruction to prospective students. All candidates must be a certified and current NRA Pistol Instructor. This course will allow you to teach the NRA Home Firearm Safety Course. Non-shooting course and teaches students the basic knowledge, skills, and to explain the attitude necessary for the safe handling and storage of firearms and ammunition in the home. This is a four-hour course for safe gun handling that is conducted in the classroom only. Students are taught NRA’s three rules for safe gun handling; Primary causes of firearms accidents; Firearm parts; How to unload certain action types; Ammunition components; Cleaning; Care; Safe storage of firearms in the home; And the benefits of becoming an active participant in the shooting sports. Students will receive the NRA Home Firearm Safety handbook, NRA Gun Safety Rules brochure, Basic Firearm Training Program brochure, course completion certificate. (Lesson Plan 6-90, reprint 12-08).